The middle class in America is defined largely by its dreams and ambitions. The Middle Class Task Force formed by the Obama administration found that people who call themselves middle-class generally share certain basic aspirations: owning a home and a car (or two), taking regular family vacations, sending their kids to college, and eventually quitting work to enjoy a comfortable retirement. Even if they haven’t achieved this lifestyle yet, it’s still their version of the American Dream. Unfortunately, this dream comes with a high price tag. In 2010, the average cost to purchase a home in the United States was $272,900, according to the U.S. Census Bureau. 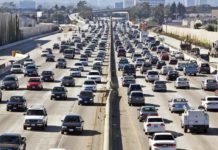 The American Automobile Association reports that the average cost of owning a car is about $8,700 per year – or $17,400 if you have two cars for two adults in a household. A survey by American Express put the average cost of a vacation at over $4,000 for a family of four, and the College Board puts the actual cost of a year of college (including room and board, and deducting grants and scholarships) at around $14,000 for a public college and $26,000 for a private one. With all these costs to cover, a lot of Americans end up working long hours to pay for their lifestyle – which gives them less time to enjoy it. But some Americans have a different dream. Instead of a big house in the suburbs, they picture themselves in a cozy cottage that’s completely paid off, with a bit of land for growing their own vegetables. Instead of having two new cars, they imagine being able to travel almost everywhere on foot or bicycle. And instead of working long hours to pay the bills, they dream of working fewer hours and having more time to spend together as a family – not just during an annual vacation, but every day. This dream of a scaled-down, slower-paced life goes by many names, but the best-known one is voluntary simplicity. And for many people, it’s not just a dream – it’s the actual way they’ve chosen to live their lives. People who embrace voluntary simplicity consume less not because they need to, but because it makes them happier. By choosing to spend less, they gain the freedom to work less and devote more of their time to the things they care about. 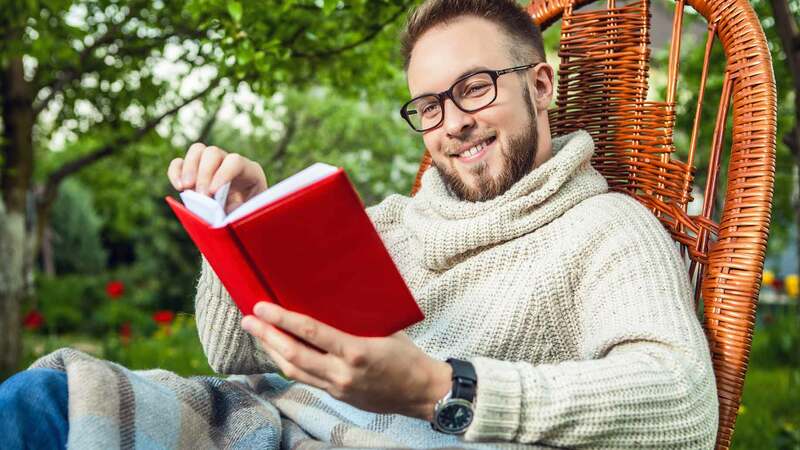 Throughout history, there have been many noted writers and thinkers who claimed that the key to happiness lay in living a simpler life with fewer possessions. In the ancient world, Buddha, Socrates, and Jesus all embraced lives of poverty and emphasized the importance of limiting material desires. In the early days of this country, writers such as Benjamin Franklin, Ralph Waldo Emerson, and Henry David Thoreau promoted a simple, frugal lifestyle. Various religious groups, from the monastic orders of the Middle Ages to modern-day Quakers and Amish, have made simple living a key part of their teachings. The modern simplicity movement arose out of the counterculture of the 1960s and 1970s, which put a strong emphasis on resisting consumer culture and living in harmony with nature. A major part of this counterculture was the “back to the land” movement promoted by Helen and Scott Nearing, who lived a simple and largely off-the-grid lifestyle lifestyle on their farm in rural Vermont. Their goals, as expressed in their 1954 book “Living the Good Life” were to live a green, healthy, and self-sufficient life outside of the capitalist marketplace. In 1981, this movement gained a new name with the publication of Duane Elgin’s book “Voluntary Simplicity,” which espoused “a way of life that is outwardly simple, inwardly rich.” Earlier writers who promoted the simple life had often used the term “voluntary poverty,” implying that even those who had plenty of money could gain satisfaction from choosing to live as if they had little. However, the new term “voluntary simplicity” shifted the concept away from poverty, which suggests hardship, and toward simplicity, the idea of a less complicated life. As this graph from Google Books shows, the term “voluntary simplicity” began to appear with increasing frequency in printed works in the early 1970s, hitting a peak when Elgin’s book came out in 1981. After 1981, the popularity of the term declined for a while, but in the 1990s its use began to surge once again as several new books contributed to the movement. “Your Money or Your Life,” published in 1992 by Joe Dominguez and Vicki Robin, showed how it was possible to achieve financial independence by dramatically scaling back your lifestyle. In 1997, Cecile Andrews wrote “The Circle of Simplicity: Return to the Good Life,” which encouraged readers to form “simplicity circles” to share ideas about simple living and support each other in their choices. And economist Juliet Schor’s books “The Overworked American” (1993) and “The Overspent American” (1997) showed how many Americans were trapped in a cycle of working and spending well beyond the point of necessity, and pointed toward some possible solutions to the problem. Today, there’s yet another name for the voluntary simplicity movement: minimalism. Modern-day minimalists, such as Leo Babauta, focus on decluttering their homes and lives, stripping away everything they don’t really care about so they can focus more on what matters to them. Though many people think modern-day minimalists all live in studio apartments with no more than 100 possessions, no job, and no family, they’re actually just people who have put a new spin on the idea of voluntary simplicity: a life without anything unnecessary. For them, cutting out unwanted belongings and activities isn’t a goal in itself: it’s a means to the end of making room in their lives for the things they care about. The main focus of the simple life is on reducing your consumption. A simple life puts less emphasis on material wealth and more on the things that money can’t buy, such as free time, strong relationships, a connection to nature, and spirituality. 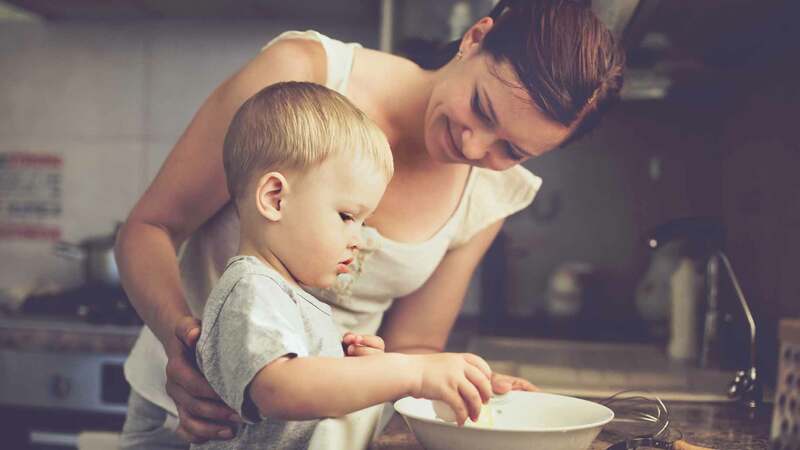 Adopting a simple life is sometimes called “downshifting,” because it involves trading in a fast-paced, high-stress lifestyle for one in which you work less, earn less, and spend less. Conscious Consumption. Living a simpler life isn’t just about spending less – it’s also about spending consciously. That means taking a careful look at every purchase and asking yourself whether it’s really worth the money you’re spending on it, and the hours you’re spending to make that money. For instance, downshifters tend to avoid spending money on luxury goods that serve mostly to emphasize social status, such as designer clothes or fancy cars. 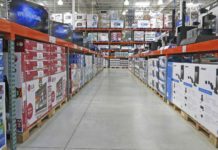 Instead, they try to get the most for their shopping dollars by choosing products that are practical, well made, and environmentally friendly. Fewer Belongings. One side effect of consuming consciously is that you end up with fewer belongings. For instance, if you think carefully about every clothing purchase instead of automatically buying new clothes every season, you’ll gradually end up with a smaller wardrobe – but everything in it will be something you truly love and wear often. Similarly, when an appliance breaks – say, a bread machine – instead of running out to replace it right away, you can ask yourself whether you really need it. If you decide that you’d rather just buy your bread at the store, or even learn to make it by hand, that’s one less object in your house you need to take care of. Smaller Homes. According to data from the Bureau of Labor Statistics, housing is the biggest expense in most families’ budgets, accounting for 26% of total spending. So it makes sense that families that want to downshift their spending often start by downsizing their homes. Choosing a small house can also simplify a family’s life by giving them less space to maintain and clean, as well as less room to accumulate more stuff. 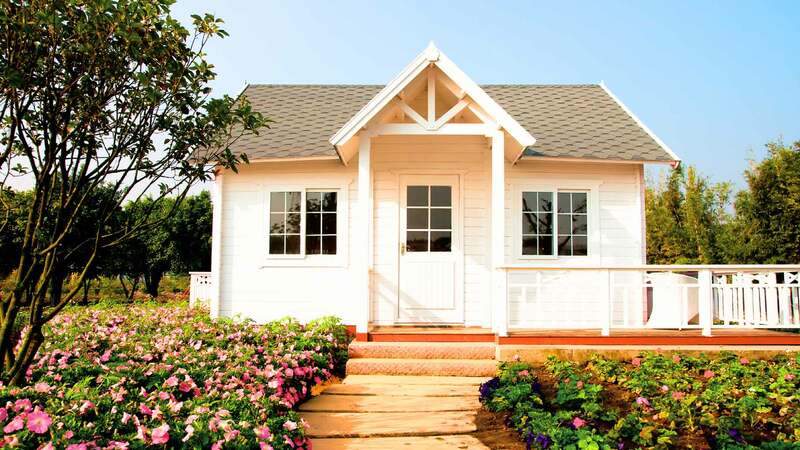 Some minimalists even choose to live in tiny houses – less than 200 square feet – which take these benefits to their extreme. Others, by contrast, join cohousing communities, which give them more space for their housing dollars because most of that space is shared with others. Lower Energy Use. Another benefit of smaller homes is that they use less energy to heat and cool. By choosing to live small and cut back on the number of electrical gadgets they own, many downshifters are able to cut their electricity use to the point where they can power their homes with solar panels or other forms of renewable energy. Downshifters also save energy on transportation by walking or biking to work, sometimes even giving up their cars entirely, and by avoiding air travel – and the stress that goes with it. Conscious Eating. For most downshifters, living simply also means eating simply: home-cooked meals made with whole, unprocessed foods. Many choose vegetarian or vegan diets for ethical, environmental, or health reasons. In some ways, this way of eating is a money-saver, since restaurant meals tend to cost more than home cooking and meat is usually pricier than vegetables and grains. However, in some cases, eating simple can actually cost more. Downshifters often make a conscious choice to spend more on local food, organic food, or Fair Trade products because of their benefits for health, people, and the planet. 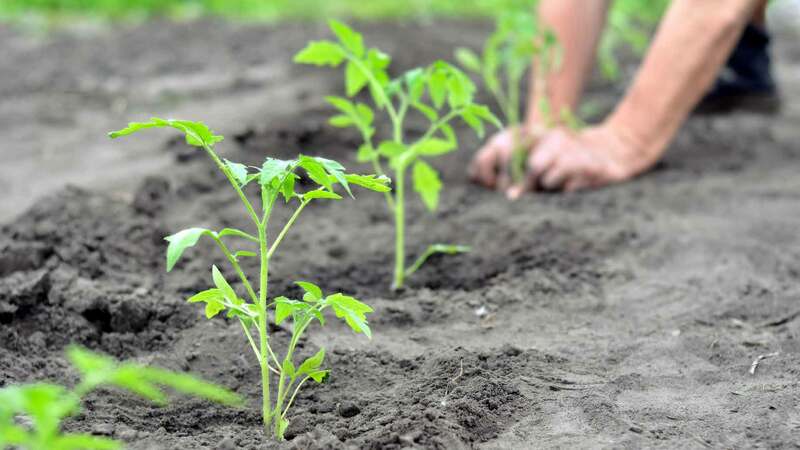 Some opt to grow their own food at home, investing time instead of money in what they eat. Shorter Work Hours. Voluntary simplicity isn’t just about spending less money. The main point for most downshifters is that, by spending less, they can afford to work less. Given the choice between a higher-paying job with a 40-to-60-hour work week and a lower-paying job that requires only 20 to 30 hours of work, they’ll take the job that gives them less money and more leisure time. Rather than aiming to increase their standard of living with higher pay, they prefer to improve their quality of life by having more time to focus on other things besides work, such as family, faith, community, art, scholarship, politics, or just relaxation. The simple life means different things to different people. One person’s version of the simple life could be owning a small, off-the-grid cabin in the country, heated with wood and powered by solar panels, with a few acres of land to grow vegetables and raise goats and chickens. This country-dwelling downshifter might work only a few hours a week for pay, perhaps working from home as a freelancer, and spend the rest of his or her time tending a garden and livestock, making and repairing clothes, and homeschooling children. For another person, by contrast, the simple life might mean living in a sparsely furnished apartment in a building with a rooftop garden. This urban minimalist might choose to live without a car, walking or riding the bus to work each day, and making regular stops at the public library for books and the farmers’ market for fresh, organic veggies. On weekends, he might take in a free performance at a local park or a poetry reading at a nearby bookstore. These two downshifters obviously have very different lifestyles, but they’re both living the simple life. They’ve both chosen, each in their own way, to think carefully about their consumer choices and avoid buying anything that doesn’t truly enrich their lives. This means that they can both live a life that’s frugal and, at the same time, personally satisfying. Deprivation. Even after dropping the name “voluntary poverty,” the voluntary simplicity movement still strikes many people as being all about learning to “do without.” The blogger at Choose Voluntary Simplicity laments that she has seen the movement described as “learning to live poor” and spending only on necessities. The truth is, the simple life has plenty of luxuries – they’re just different luxuries from the ones most Americans choose. Downshifters often choose to live without cable TV, smartphones, designer clothes, big houses, new clothes, and even cars – but they treat themselves to organic veggies and handmade clothing, and they enjoy plenty of leisure time to spend with family or enjoying nature. So voluntary simplicity doesn’t mean giving up the things you enjoy; rather, it means deciding which things you enjoy most and focusing on them. Living Off the Land. Because the voluntary simplicity movement has its roots in the back-to-the-land movement of the 1960s and 1970s, many people assume that living the simple life means moving out to a commune in the country. However, simple living advocates stress that a simple life doesn’t have to mean an agrarian life. It’s true that most city dwellers can’t grow their own food, but it’s actually much easier for them to give up their cars, since they have ready access to mass transit, or live in a small home, since many city homes are apartments rather than large houses. A simple life in the city looks very different from a simple life in the country, but both are possible. Rejecting Modern Technology. In the introduction to his 2010 edition of “Voluntary Simplicity,” Duane Elgin complains that the media often portrays the movement as “a nostalgic desire to return to the past” and reject the trappings of modern life. In fact, minimalists treat technology the way they treat all other parts of life: They consider it carefully and decide whether its benefits really outweigh its drawbacks. Thus, people who live simply often choose to cancel their cable TV because they don’t enjoy it enough to justify the time it takes up or the advertising exposure, or to drive less because they find bicycling to be healthier and less stressful. But they continue to use the kinds of technology that they consider truly worthwhile, such as electric lights, refrigeration, modern medicine, and the Internet. In particular, they embrace modern technologies that can benefit the environment, such as energy-efficient appliances, solar panels, or computers that make telecommuting possible. Counting Your Possessions. Joshua Fields Millburn and Ryan Nicodemus, creators of The Minimalists, say the misconception they face most often is that the goal of minimalism is to get the list of objects you possess down to 100 or fewer. This idea probably comes from the book “The 100 Thing Challenge,” by minimalist author Dave Bruno, who spent a year paring back to only 100 objects to prove that material belongings aren’t the focus of his life. However, Bruno and other minimalists agree that the point of minimalism is not to limit your possessions to some arbitrary number, but rather to decide which things in your life you truly need and value, eliminating the ones you don’t. The goal isn’t to own fewer things, but to have more time and energy for the things that matter most. Less Financial Stress. For most Americans, money is a major source of stress. A survey by the American Psychological Association found that 72% of all Americans say they have at least some money-related stress in the last month, and 22% say the stress is severe. One reason for this is that so many Americans live paycheck to paycheck, with little to no money saved up to deal with emergencies, such as healthcare costs. The APA survey reports that nearly 20% of Americans have either skipped or have considered skipping a doctor visit because they couldn’t afford it. By contrast, downshifters don’t have to worry nearly as much about money because they’re able to live on very little. By spending much less than they make, they can build an emergency fund, pay off debts, and feel free to splurge occasionally if they want to. More Free Time. Because they spend less, minimalists can also afford to work less, freeing up time and energy for other activities. They can volunteer time for worthy causes, take up artistic or intellectual pursuits, or devote more time to family and personal relationships. More Fulfilling Work. Some downshifters continue to work the same number of hours, but at a more satisfying and lower-paying job. Because their lifestyle is less expensive, they can afford to give up highly paid jobs they don’t enjoy in favor of other work they find more satisfying. A Greener Life. People who choose voluntary simplicity are often environmentalists who worry about how their consumption affects the planet. By choosing to consume less, they reduce their use of natural resources, including water and fossil fuels, and contribute less to industrial pollution. And because they buy fewer things overall, they can afford to spend more money on greener products, such as organic food or reclaimed wood. Sharing With Others. Another problem many downshifters worry about is poverty. We live in a world with limited resources, and the bulk of those resources go to meet the needs of the rich. By choosing to live simply, downshifters aim to reduce their use of resources so there will be more available for others. According to the laws of supply and demand, they figure, the less they buy of a product, the lower its price will fall, making it more affordable for other people. But since this process takes a long time, some people also use the money they save to help the poor directly, donating their extra cash to anti-poverty programs. Appreciation. One of the biggest reasons minimalists give for choosing a stripped-down lifestyle is that living with less makes them more appreciative of what they have. Having a wardrobe that isn’t cluttered with clothes means that they wear nothing but their favorite outfits. Getting rid of the TV and canceling the Facebook account helps them enjoy the simple pleasure of sitting out on the patio with a cup of coffee, listening to the birds. Cutting out soft drinks and fast food lets their palates readjust to the basic flavors of fresh-baked bread and homegrown tomatoes. These little moments of appreciation make the simple life a more satisfying life for those who practice it. The name “voluntary simplicity” is a bit misleading. 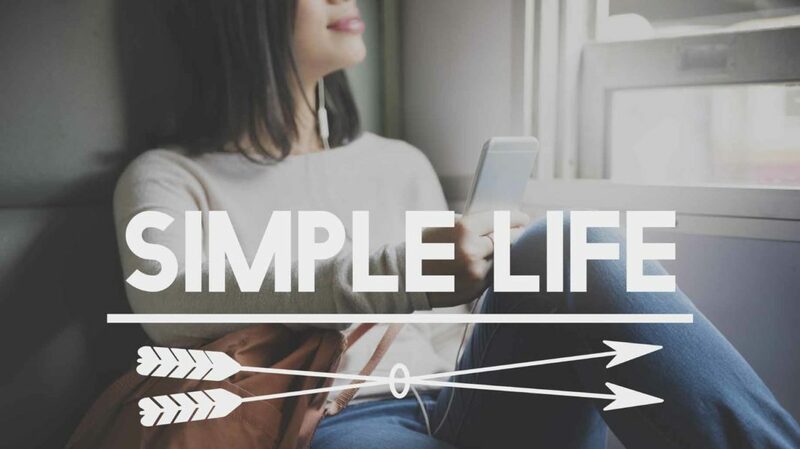 In many ways, a “simple” life can actually be more complicated and challenging than a mainstream lifestyle. This is particularly true for those who choose to withdraw completely from the consumer society, such as the Nearings. If you refuse to purchase anything at all, then everything you use – food, clothing, household goods – has to be homemade. When you have to grow or make absolutely everything from scratch, just keeping yourself fed and clothed can take far more hours of your time than a full-time job. However, even for those who choose to stay within mainstream society, but just consume less, living simply can still be time-consuming. For example, it usually takes longer to walk or bike to work than it does to drive. Preparing a home-cooked meal takes longer than stopping at a fast-food restaurant drive-through, and repairing a torn shirt can take longer than going to a department store to purchase a new one. On top of that, you need to know how to sew, cook, and ride a bicycle, if you don’t already know, and learning those skills takes more time. For many people though, the biggest challenge of the simple life is how it can cut you off from your peers. For instance, if you’ve always been in the habit of going out with your coworkers for a few beers after work, and you decide to stop going because you think it’s an unnecessary expense, you’ll lose that social contact – and possibly annoy or confuse your coworkers, who may feel as though you’re rejecting them personally. You can try to maintain your friendships by suggesting different social activities that fit your new lifestyle, such as going for a walk together at lunchtime. However, you can’t be sure that your coworkers will go along with this plan. This social isolation can be particularly challenging for downshifters who have children in school. It’s one thing to make decisions for yourself that set you apart from your peers, but it’s much harder to tell your kids they can’t have the new sneakers all their friends are wearing, or watch the TV shows that all their schoolmates watch. Parents who don’t want their kids to be isolated from their peers can make a special effort to help their children make friends, inviting other kids to join yours in activities such as hikes or crafts that fit your simple lifestyle. But when your children have trouble making friends because they just don’t have anything in common with their classmates, it sometimes feels easier to give in and let your kids live the way other kids do. You can always hope that by exposing them to the simple life, in addition to the modern, consumer lifestyle, you’re giving them the skills they need to choose a simple life for themselves when they get older. Consider Your Goals. The whole purpose of simple living is to clear away the things that aren’t important to you so you have more time for the things that matter. So before you can start simplifying your life, you need to figure out what is most important to you. For instance, if you have a job you don’t like, one of your goals might be to reduce your living expenses enough to live on a lower salary doing something you’re passionate about. Or, if you’re concerned about the environment, your goal could be to reduce your carbon footprint to zero, or as close to it as possible. There’s no right or wrong reason for living simply – it’s merely a question of deciding what you care about so you can focus on that. Start Spending Mindfully. Once you’ve decided what you want out of your simple life, you can start directing your spending in ways that match your goals. Before you make any purchase, take a few minutes to ask yourself how it does or does not fit in with your new life vision. If you’re aiming to live a greener life, asking this question could lead you to pass up the imported mangoes at the grocery store in favor of local, organic apples. If your goal is to reduce your work hours, you might end up deciding the new pair of shoes you’ve just tried on isn’t worth the hours it would take to pay for them. Once again, there are no right or wrong choices – the point is to make sure everything you buy is something that’s really worthwhile to you. Clear Your Clutter. Simple living experts say purging your home of excess stuff is a good exercise. It can help you realize how many of the things you own aren’t truly necessary, and it can clear away clutter that gets in the way of the things you really do need and value. Go through one room at a time, picking up objects and asking yourself, “Do I ever use this? Does it have value for me? Does it fit into my simpler life?” If you can’t answer yes to all three questions, put it in the donation box. Some people shy away from voluntary simplicity because they see it as “too extreme.” But there’s no need to go to extremes to enjoy the benefits of a simpler life. You don’t have to give up your car, quit your job, disconnect your TV, or move to an off-grid cabin with a wood stove. Living simply can give you the freedom to do these things, if that’s what you want, but it’s absolutely not a requirement. The whole point of voluntary simplicity is to be more mindful about the way you live your life – how much you work, how much you spend, and whether your actions match up with your values. By thinking carefully about these kind of choices, you can free yourself from the things in your life that don’t really matter, and focus more on the things that do. The 1946 song “Give Me the Simple Life,” by Rube Bloom and Harry Ruby, does a good job of summing up the principle of voluntary simplicity: “A cottage small is all I’m after, not one that’s spacious and wide, a house that rings with joy and laughter and the ones you love inside.” In other words, living simply means focusing less on material belongings and more on the people you care about – and there’s nothing extreme about that. What does the simple life mean to you?